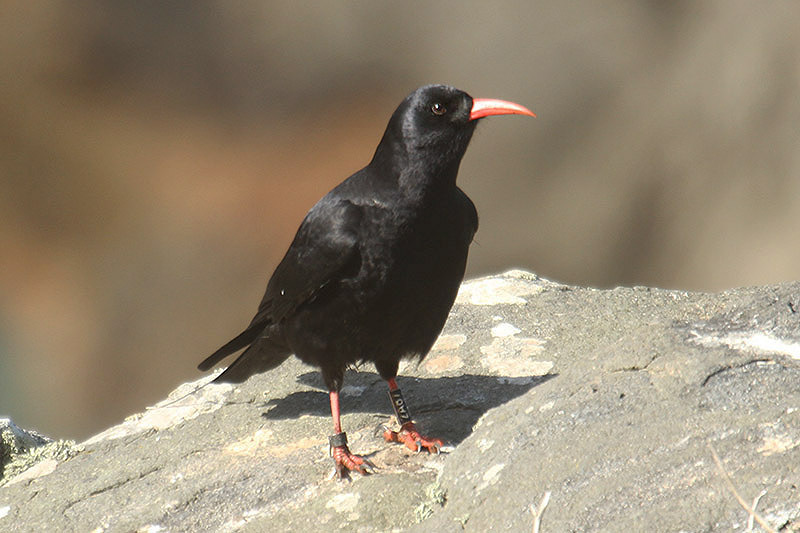 On Wednesday, 9th April, we began this year’s programme of acclimatising the choughs at Sorel to the world outside of their aviary. All eight birds were given access and, unlike like last year, all eight birds were outside within about 30 seconds. They then went on to give us a spectacular show of flying and calling – five birds went together about as high as they could, becoming black spots against the clouds, calling all the time. Since Wednesday the birds have returned, mostly, to a familiar pattern involving the quarry at Ronez and flights back to the aviary. However, there is some wandering going on and, even though each bird has a radio transmitter, we don’t always know where they are or where they have been throughout the day. 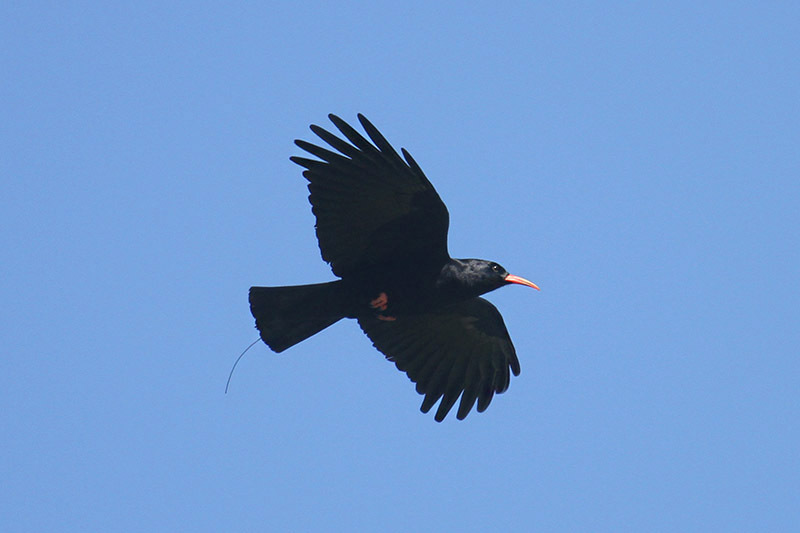 So, please, if you see a chough anywhere, feel free to let us know when and where you saw it – your record could help fill in a gap in our understanding or what they do and where they go throughout the day. 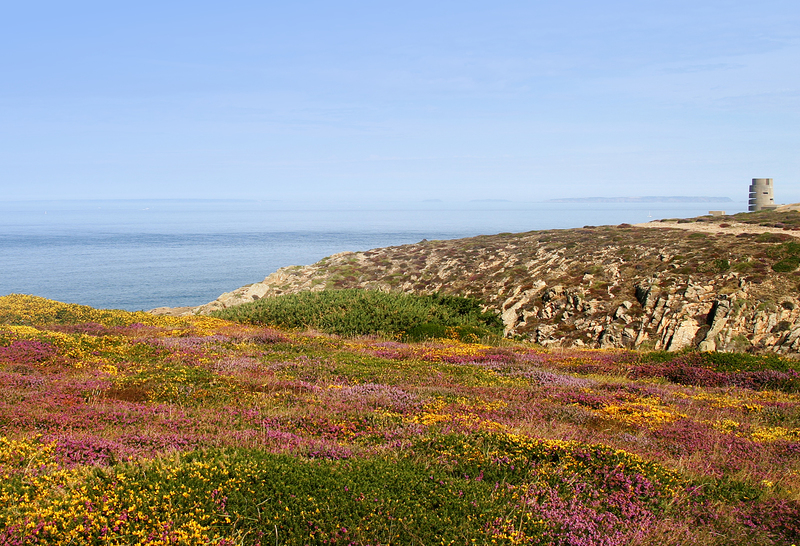 Let Liz or Glyn know about your sighting and also visit the Seen a chough? page here which gives helpful hints on ID etc.